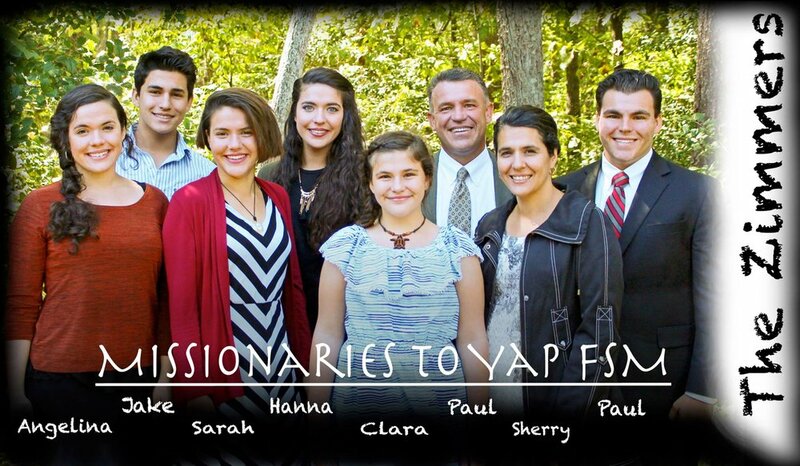 The Zimmer family became missionaries with World Wide New Testament Baptist Church in 1999 and began serving in Yap in 2001. Paul Zimmer and his family are taking a short furlough as well as taking care of medical needs in his family. During his time away, I will be aiding this ministry by preaching on Sundays, soul-winning, bible studies, and helping in the youth ministry. This three-month long trip will be from the end of August to the end of November. During the month of October, a medical missions team from Boston will accompany Paul and me to go to two particular islands that are in great spiritual darkness. We will be on these islands for just under two weeks. Would you please pray for the gospel to go forth with power while we are there? Pray with us that God’s will would be accomplished and that these lost souls would turn to Christ. Zimmer Family is praying for funds to be provided for the final construction of a new school building. Here is a link to give to this project through their mission board. Click here. An open door to preach Christ. Pray that God would begin a work there. Pray that our preaching would be a demonstration of the power of God. Pray that we might be able to clearly communicate the gospel. Will you go to the feet of the Master and plead on behalf of the souls of men with me. When we decide that prayer is not the necessary solution to seeing God move in might and power we have become carnal and dependant on flesh. Pray with me. Pray Big. Pray according to God’s will. Expect the Mountains to move and Christ to be exalted. If you would like to give to this trip please contact my mission board World Wide New Testament Baptist Missions. Click here. Feel free to contact me personally for more details.